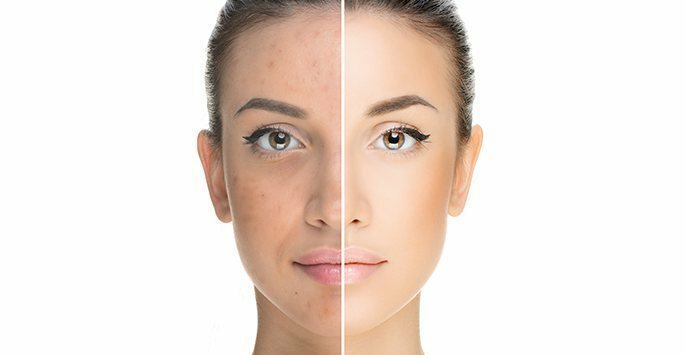 Acne Treatment – Photodynamic Therapy (PDT) is a revolutionary procedure available that treats not only active acne, but older acne scars as well. It is approved to treat patients with moderate to severe acne, and those who cannot or simply do not want to take oral acne medications. Photodynamic Therapy (PDT) uses a combination of light therapy and Aminolevulinic Acid (ALA), otherwise known as Levulan. ALA is a naturally occurring compound found within the human body, making it an excellent choice and safe option. During treatment at Infini Cosmetic Associates, the Levulan is applied to the patients’ skin. Once the allotted time has passed, the Levulan will then be activated by a specific wavelength of light for a predetermined amount of time. Leaving the patient with a smoother, softer appearance and more normalized skin.